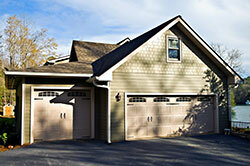 It doesn't matter whether you have an overhead or roll up garage door, you have to protect it effectively from damage. One of the best ways for doing this is the installation of weather stripping. It works to protect the panels and metal parts of the door plus the content of the garage from rainwater damage and dust. Here is some practical advice on how to seal your door in the most effective way. Your first task is to choose the right materials. You need a strong and durable bottom seal which is easy to install. It is best if it is made from a perfectly waterproof polymer which is resistant to UV damage as well. It should be easy to install as well. The weather strips which go on the sides and on the top of the door have to have the same properties. You have to ensure that the size of the strips matches the width of your door precisely. The whole width has to be covered. Otherwise, there is little point in installing the strips at all. It is worth pointing out that the threshold seal is not a good alternative to the bottom seal as it does not protect the bottom panels from damage. Water can still get in contact with them and cause trouble. 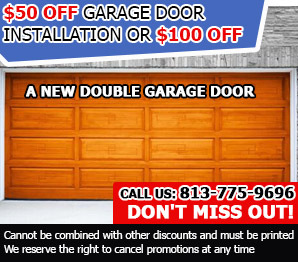 The bottom seal, on the other hand, will provide effective protection and you will not have to worry about garage door panel replacement. You have to keep in mind that the weather stripping is subject to wear and tear just like all other garage door parts. You should keep an eye on it when you provide garage door maintenance to ensure that it is in good condition. It has to stay perfectly in place. It should remain sufficiently thick. You can also run a simple test by turning off the garage lights during the day and closing the door fully. If light gets through the sides, top or bottom of the door, then it is time for changing the seals.